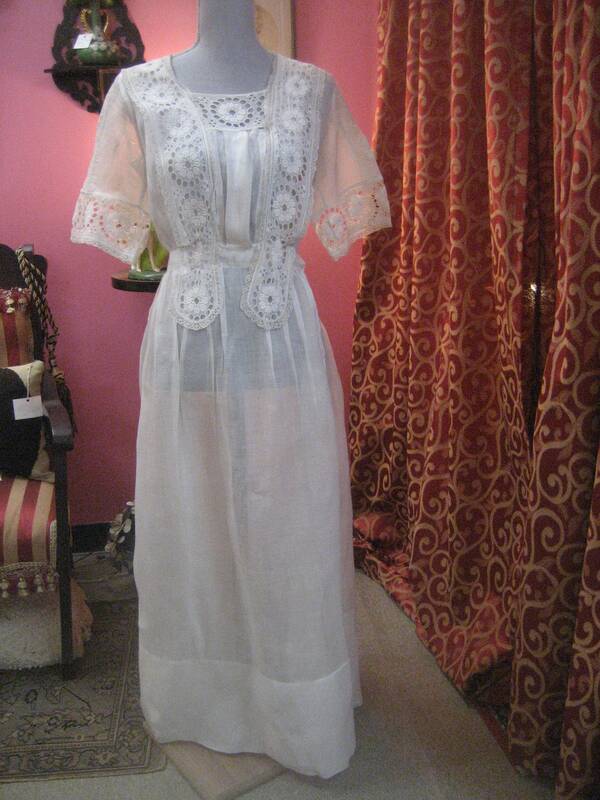 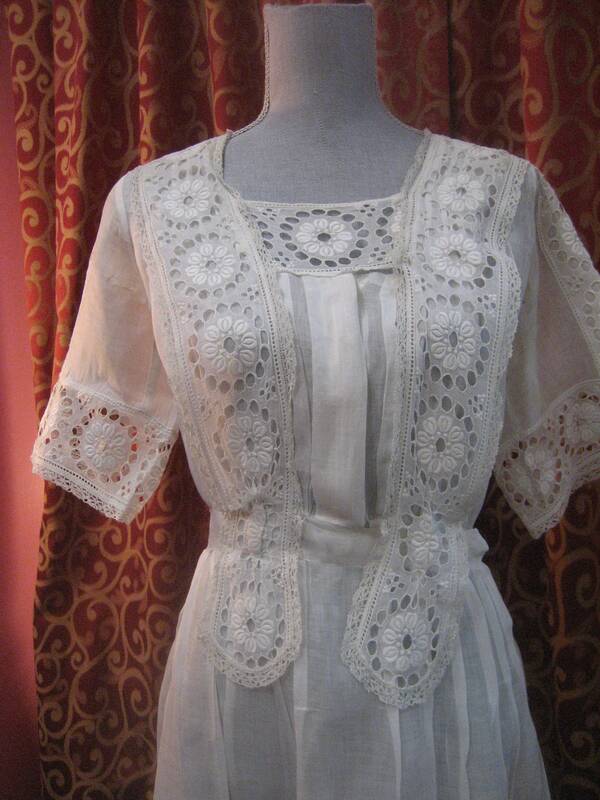 1915, 38 bust, white fine linen and eyelet day dress. 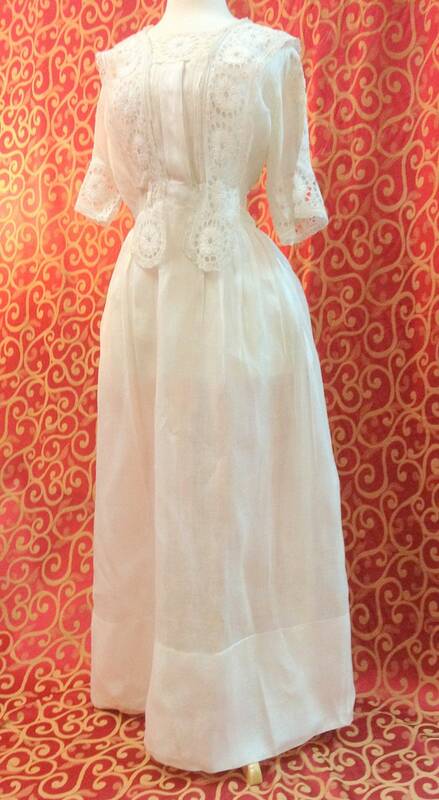 1915, 38" bust, white fine linen and eyelet day dress. 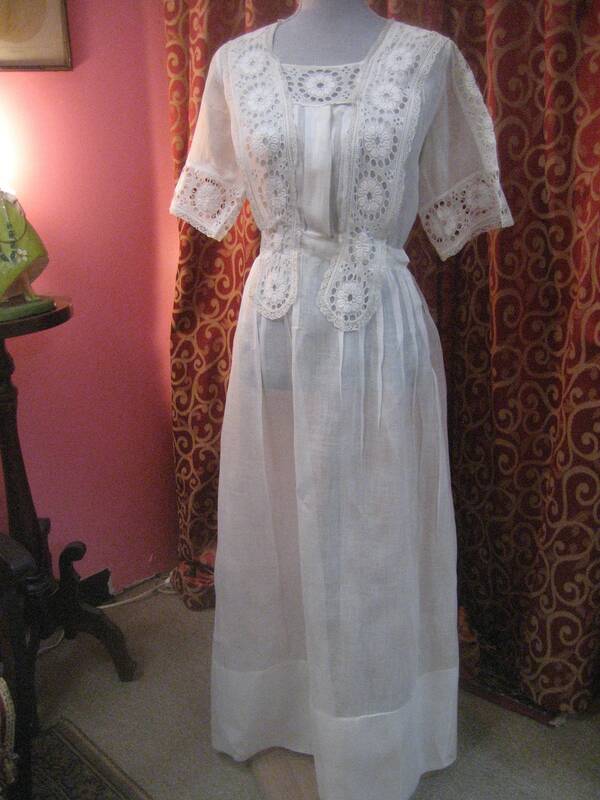 1915, 38" bust, white fine linen and eyelet day dress. 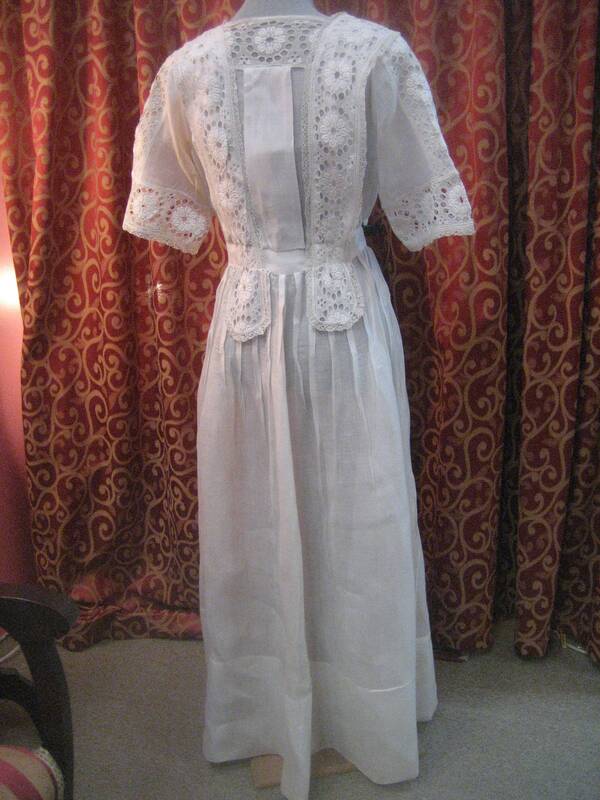 The full length dress has open square " middy" neckline, with 3/4 sleeves. 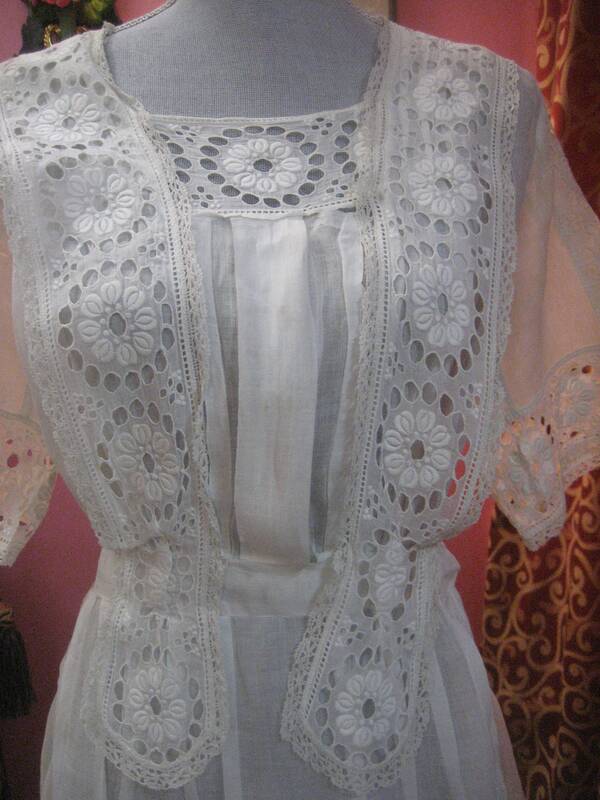 Circular eyelet panels decorate front of bodice, cuffs and neckline. 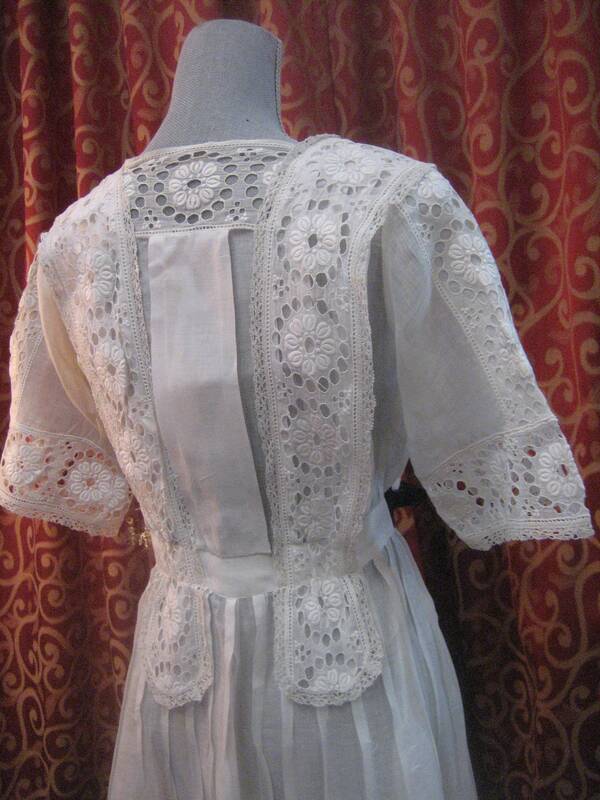 Upper back of dress has wide pleats and panels of circular eyelet to back of waist. 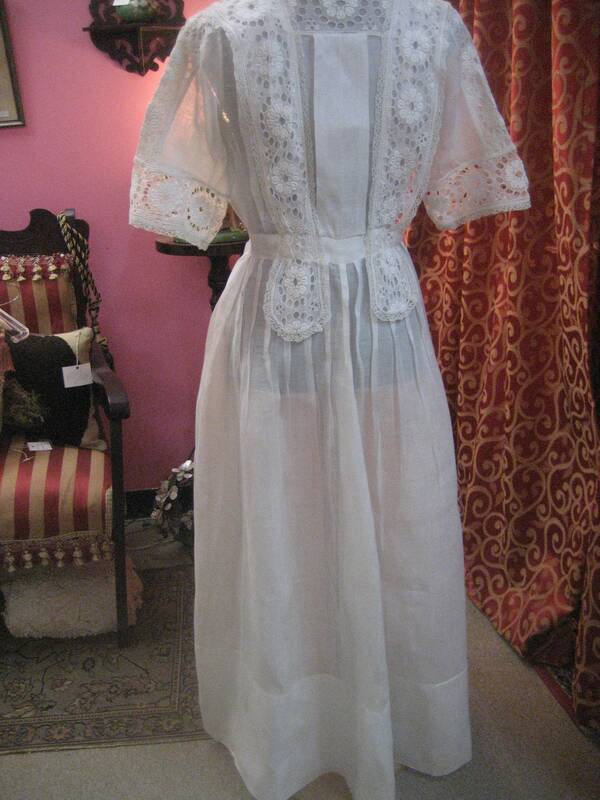 Dress is fastened by an elaborate arrangement of hooks and eyes of front of bodice, with a series of snaps along waistline and hips. 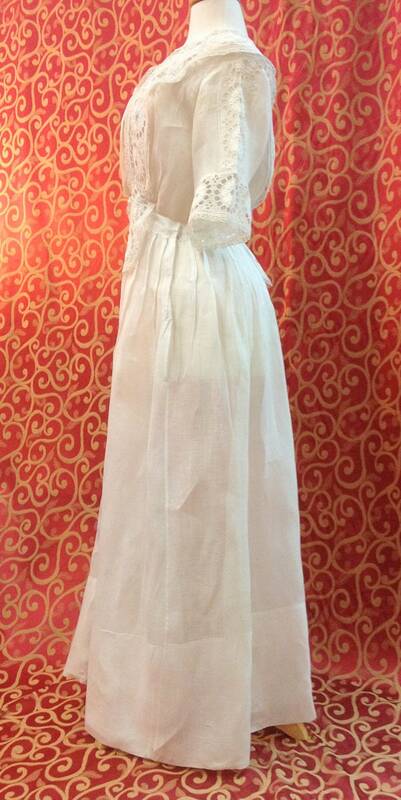 Skirt of dress has narrow pleats at hips and is plain to the wide hem at the end of the long skirt.